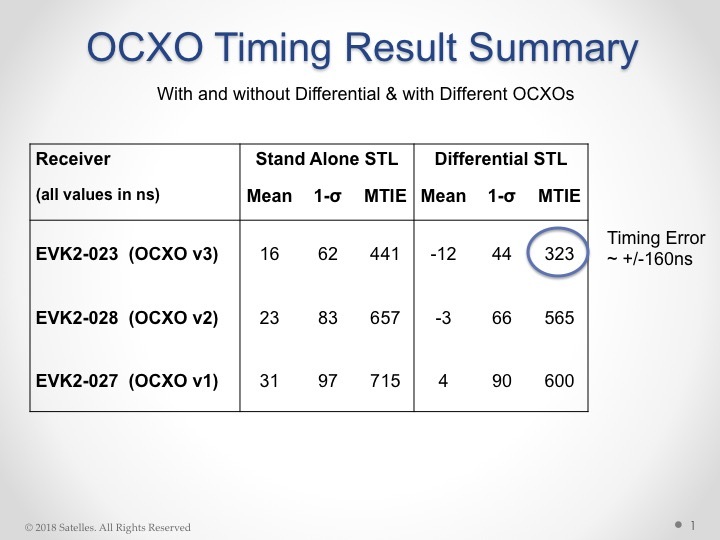 Satelles had demonstrated in 2016 sub-microsecond timing using its Satellite Time & Location (STL) service with a stand-alone TCXO-based receiver. The service uses a signal from the Iridium low-Earth orbit (LEO) constellation. Now the company has released from new tests using configurations with a differential source and with a more accurate OCXO clock, producing timing accuracy of 160 nanoseconds. 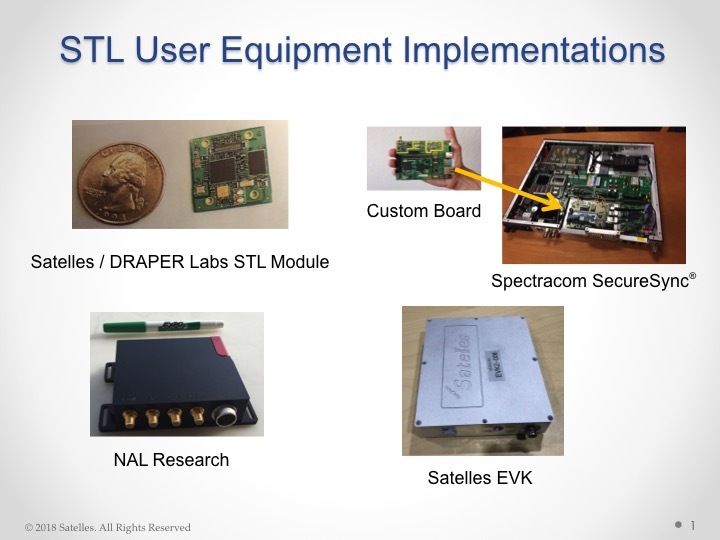 Gregory Gutt, president and chief technical officer of Satelles, made the presentation at the recent Institute of Navigation International Technical Meeting. The 66-satellite Iridium LEO constellation transmits overlapping spot beams, which provide location-specific data that changes every few seconds. The featured image on this article (above) shows spot beam pattern for 2 of 66 satellites. 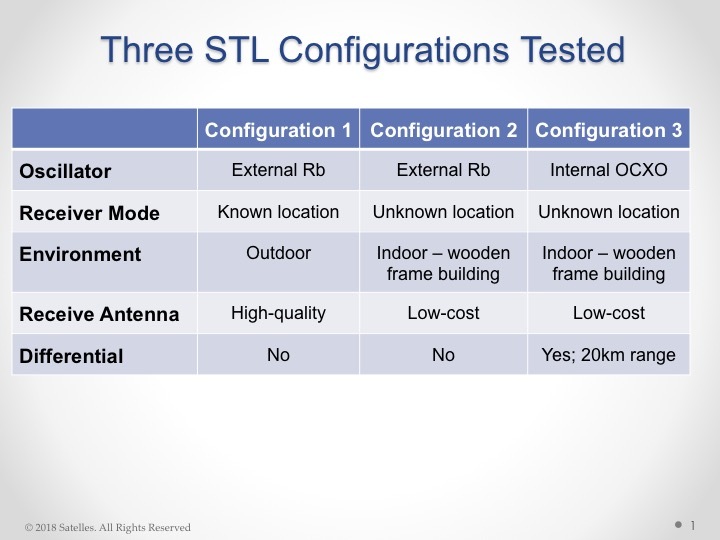 The testing employed three different configurations of equipment, services, and environment, as shown in the adjacent figure. 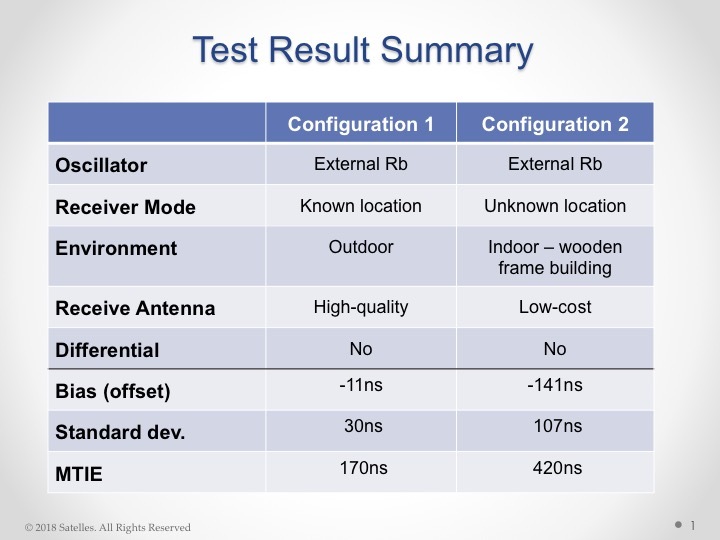 Equipment employed in the tests included a Stanford Research Systems (SRS) rubidium vapor frequency reference, based on the PRS10 module, and a Satelles Evaluation Kit (EVK2) STL receiver, comprising a Maxim RF chip, Xylinx Spartan-3 FPGA , TI dual core DSP chip, and internal OCXO or external clock. 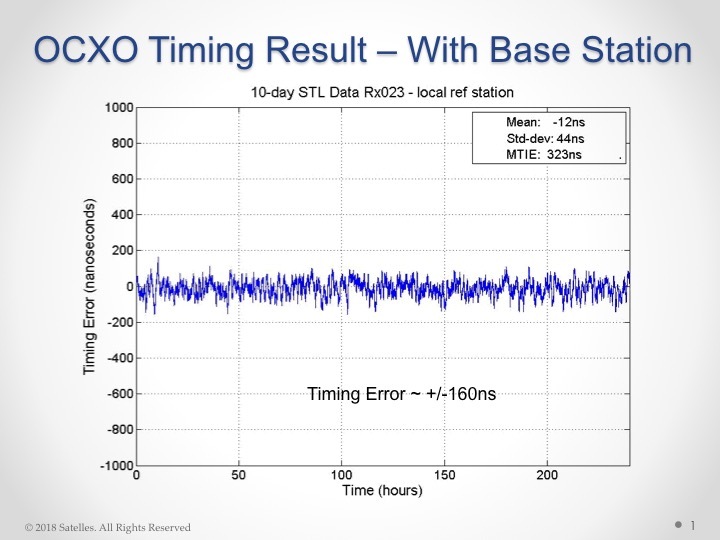 10 days with local reference station, 20km away from test receivers, providing timing corrections to STL ground segment.